1. Profile Pic Cannot be Fixed as Instagram Removed the APIs. Will try adding some Workaround for the same. Apps available on Playstore have their own servers so don't say about it. 2. Everything Works as it Should... So kindly check everything from your end before reporting. 3. GBInstagram Themes has been already added in OSMThemes App Available on PlayStore. 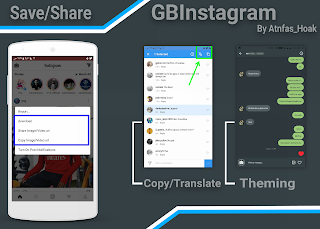 4 Responses to "GBInstagram v1.60 Latest Version Download Now"